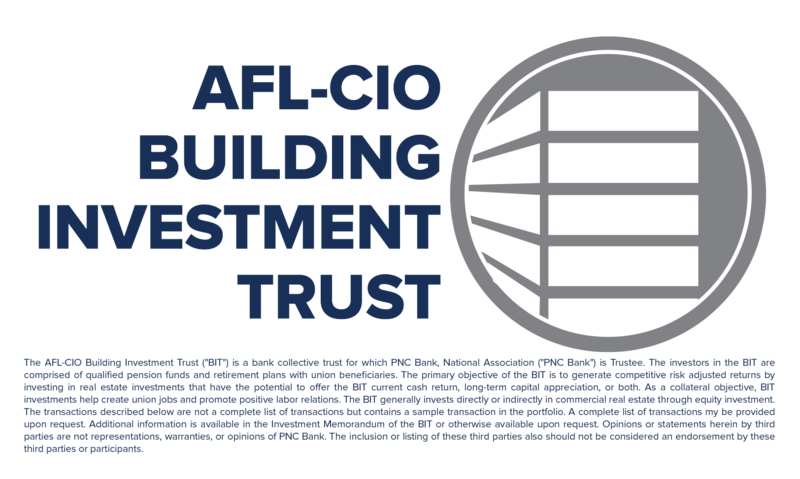 The AFL-CIO Investment Trust Corporation ("ITC") provides investor and labor relations services to the AFL-CIO Building Investment Trust ("BIT"). As the ITC's Vice President of Construction and Labor Relations, it is my job to assist with the effective and efficient implementation of the BIT's comprehensive labor policies. Thank you for taking a moment to look at two union-built, fully developed BIT investments, and thank you to all the investors in the BIT for your support. 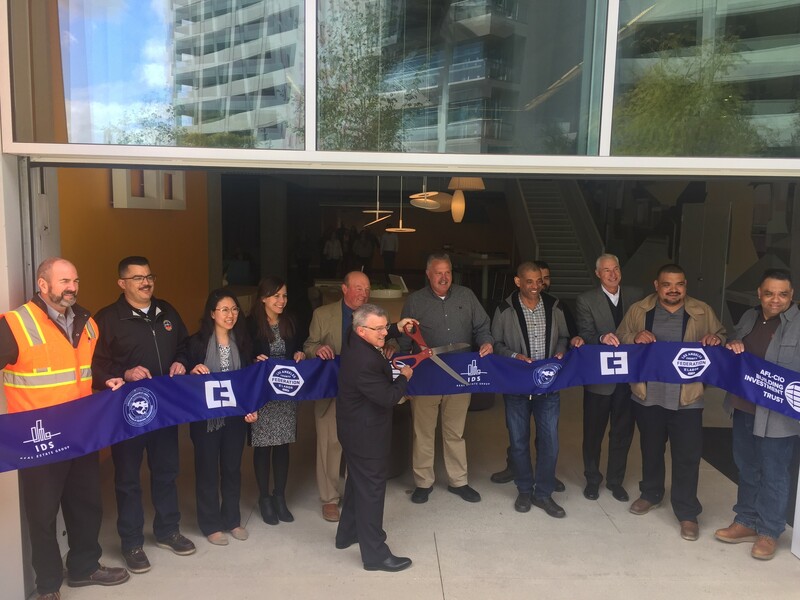 Paul Gurewitz, Regional Vice President of AFL-CIO Investment Trust Corporation Financial, LLC, cuts the ribbon of the AFL-CIO Building Investment Trust's joint venture Culver City Office project in Culver City, CA. 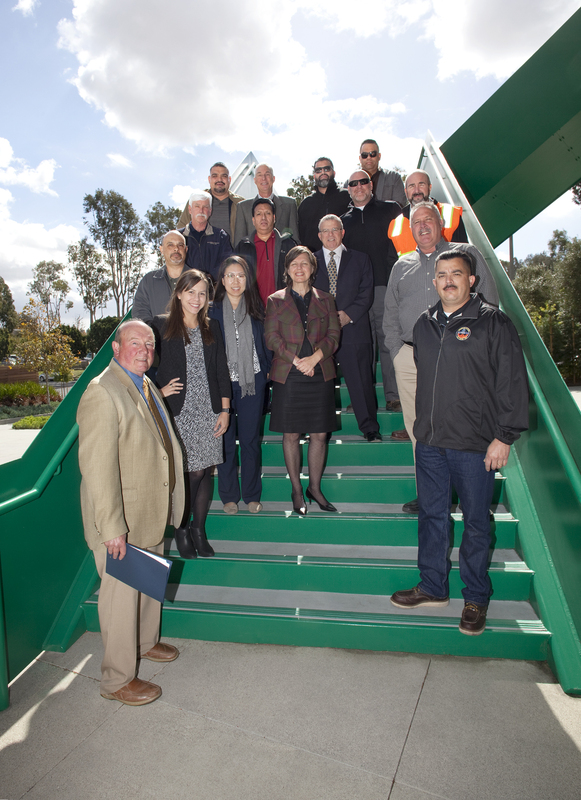 CULVER CITY, Calif. (February 27, 2018) -- Members of the staff of the AFL-CIO Investment Trust Corporation ("ITC") and AFL-CIO Investment Trust Corporation Financial, LLC ("ITC Financial") joined representatives from the Los Angeles/Orange Counties Building & Construction Trades Council, the Los Angeles County Federation of Labor, and various local unions from Southern California to formally open the AFL-CIO Building Investment Trust's ("BIT") Culver City Office project. 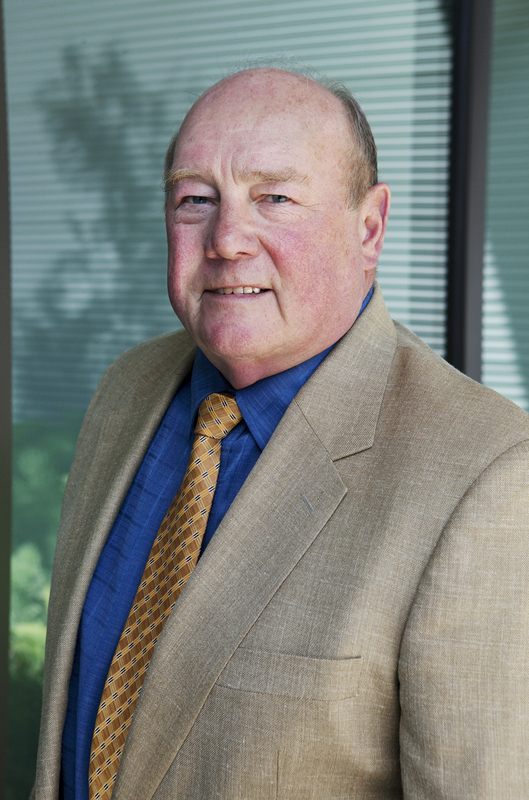 The joint venture development with IDS Real Estate Group is known as C3 at Culver Pointe. 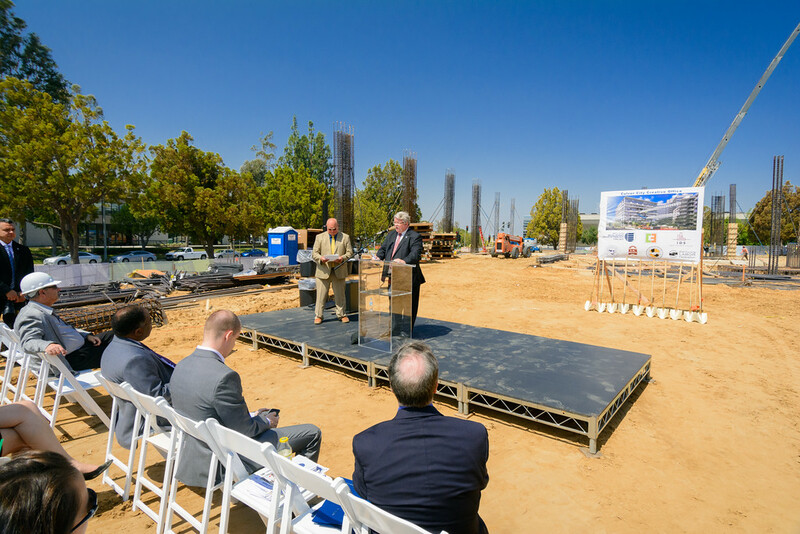 Ron Miller, Executive Secretary, Los Angeles/Orange Counties Building & Construction Trades Council, addresses the crowd at the groundbreaking of Culver City Office while union building trades members begin construction (photo taken June 2016), Culver City, CA. Culver City Office under construction (photo taken January 2017), Culver City, CA. Construction began on the project in the second quarter of 2016. Work on the project is estimated to have generated 1.25 million union construction job hours. 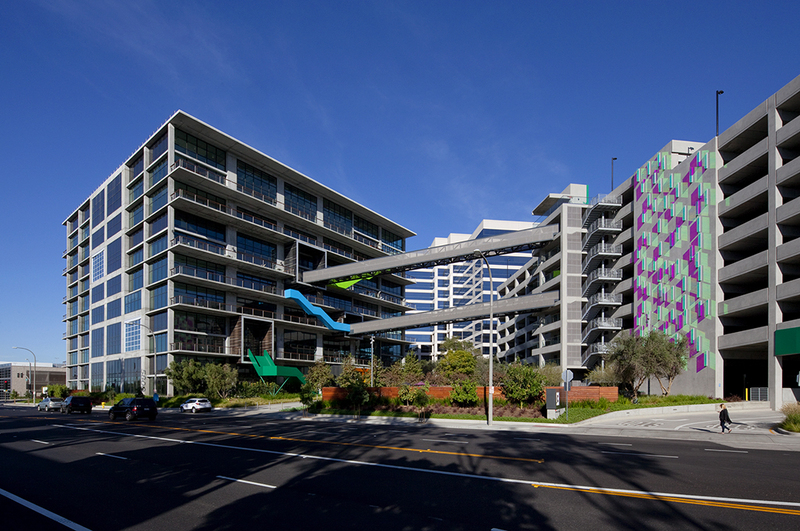 The project was the BIT's second recent joint venture office development in Southern California with IDS Real Estate Group. The completed Culver City Office, also known as C3 at Culver Pointe, Culver City, CA. Now that the project is complete, C3 at Culver Pointe offers more than 280,000 square feet of office space within its seven stories. Each office unit is loft-style, with an open-plan communal workspace on the ground floor. While the ribbon cutting was held in late February 2018, nearly half of the project had been leased as of December 31, 2017. Participants from the Ribbon Cutting Ceremony of C3 at Culver Pointe included representatives of the Los Angeles/Orange Counties Building & Construction Trades Council; the Los Angeles County Federation of Labor; the Painters and Allied Trades District Council 36; the Western Regional District Council of the United Union of Roofers, Waterproofers, & Allied Workers; United Association Local 709 Sprinkler Fitters; United Association Local 250 Sprinkler Fitters; United Association Local 78 Plumbers; Bricklayers and Allied Craftworkers Local 4; the International Brotherhood of Electrical Workers Local 11; the City Council of Culver City; IDS Real Estate Group; the AFL-CIO Investment Trust Corporation; and AFL-CIO Investment Trust Corporation Financial, LLC. Union construction workers from a variety of trades take part in the worker appreciation luncheon hosted at the AFL-CIO Building Investment Trust's joint venture development, Encore at Forest Park, St. Louis, MO. 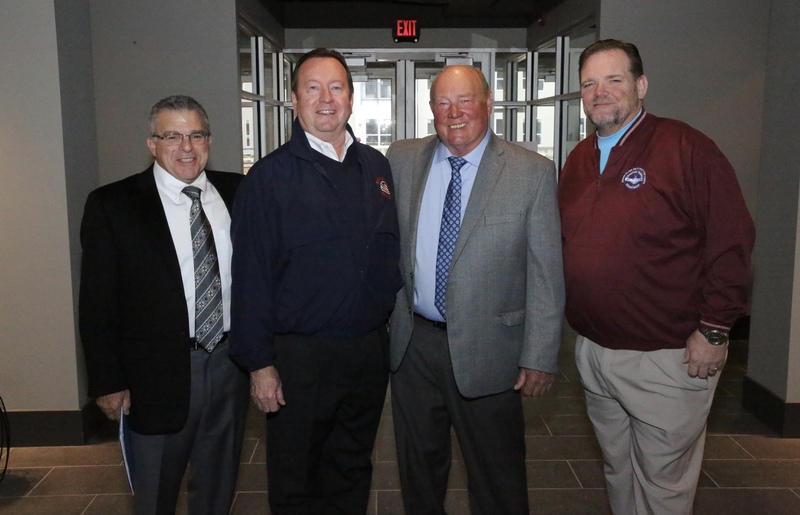 ST. LOUIS (March 26, 2018) -- Members of the staff of the ITC and ITC Financial joined representatives from the St. Louis Building & Construction Trades Council, the Greater St. Louis Labor Council, and the Missouri State Building & Construction Trades Council, among other various local unions from Missouri and Southern Illinois, to host a worker appreciation luncheon for the joint venture multifamily project called Encore at Forest Park. Some of the speakers at the worker appreciation luncheon hosted at the AFL-CIO Building Investment Trust's joint venture development Encore at Forest Park, St. Louis, MO. (L to R) Paul Gurewitz, Regional Vice President, AFL-CIO ITC Financial, LLC; John Stiffler, Executive Secretary-Treasurer, St. Louis Building & Construction Trades Council; Lynn Fieldman, Vice President of Construction & Labor Relations, AFL-CIO Investment Trust Corporation; Pat White, President, Greater St.Louis Labor Council. Upon completion, Encore at Forest Park is estimated to have helped to generate over 500,000 hours of union construction work. 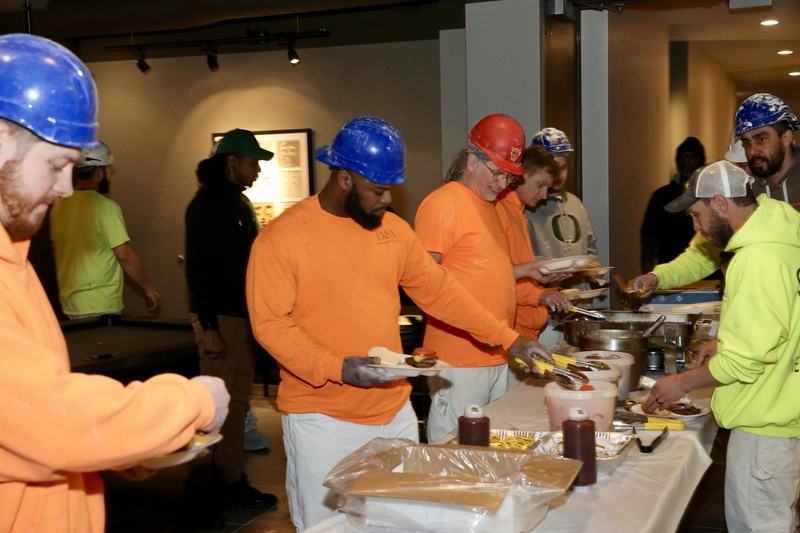 Hundreds of union craft workers were able to take a break and enjoy a relaxing lunch in one of the project's completed spaces during the event. Gina Walsh, President, Missouri State Building & Construction Trades Council, addresses a number of the union construction workers who are on site at Encore at Forest Park. 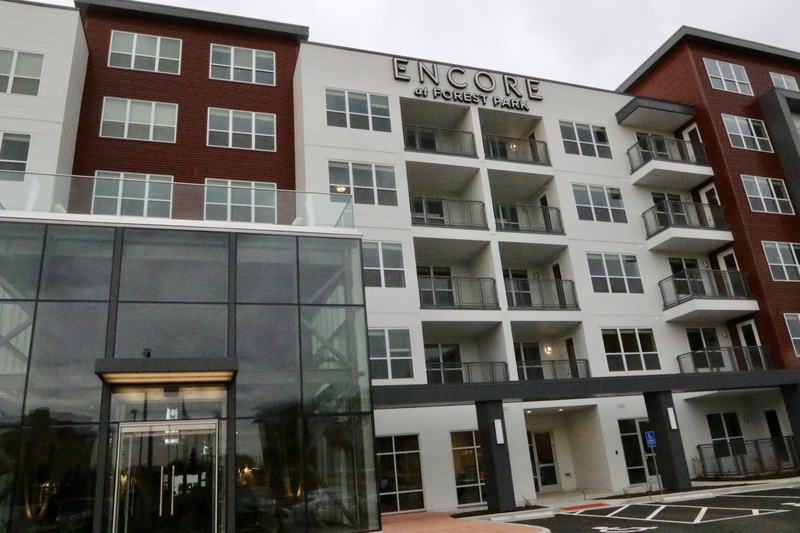 Encore at Forest Park is a joint venture between the BIT and 2B Residential (the multifamily division of Balke Brown Transwestern) being built directly adjacent to another recently completed BIT investment, Cortona at Forest Park. As of December 31, 2017, the net asset value of BIT investment in St. Louis was over $113 million. Union construction worker on site at Encore at Forest Park, St. Louis, MO (Photo taken September 2017). 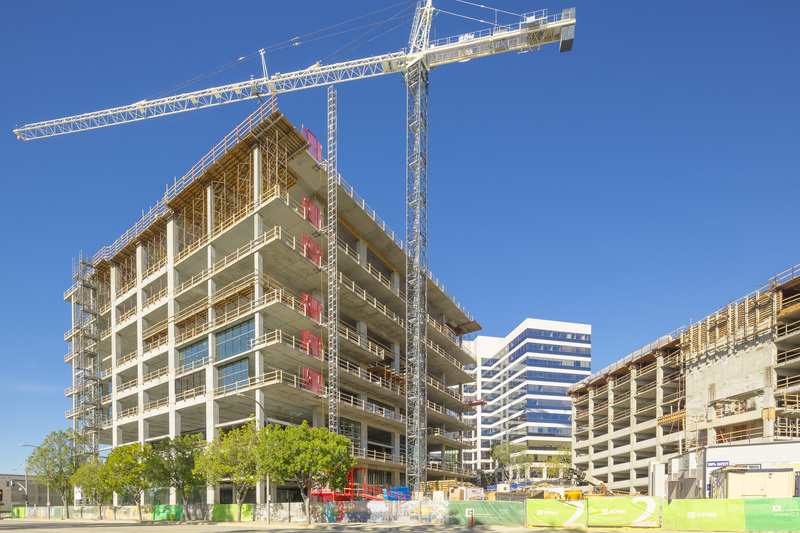 Construction at Encore began during the second quarter of 2016, with completion of the project originally scheduled for the third quarter of 2018. Units within the first phase of the project were delivered on April 1, 2018. The completed main entrance of Encore at Forest Park, St. Louis, MO. 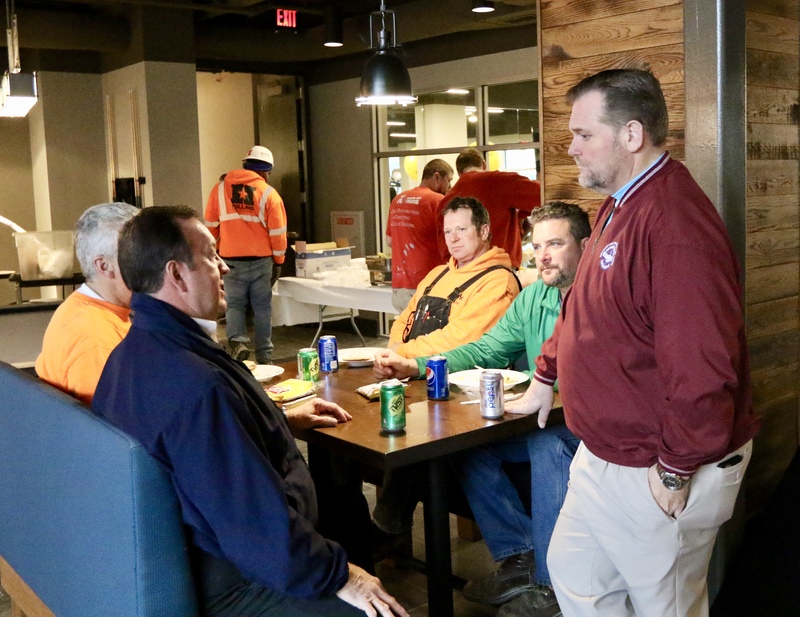 John Stiffler, Executive Secretary-Treasurer, St. Louis Building & Construction Trades Council and Pat White, President, Greater St.Louis Labor Council, meet with union construction workers during the Encore at Forest Park worker appreciation luncheon. For more pictures from any of the mentioned events, or information about the BIT, please click HERE. * Transactions listed here are not a complete list of transactions but contain a sampling of transactions during this time period. A complete list of transactions may be provided on request. Opinions or statements herein by third parties are not representations, warranties, or opinions of PNC Bank. The inclusion or listing of these third parties also should not be considered an endorsement by these third parties or participants. The AFL-CIO Building Investment Trust (the “BIT”, the “Trust”, or the “Fund”) is a bank collective trust for which PNC Bank, National Association (“PNC Bank”) is the trustee. PNC Bank is an indirect, wholly-owned subsidiary of The PNC Financial Services Group, Inc. (“PNC”). PNC may use the service mark “PNC Institutional Asset Management” in connection with certain activities of the Trust. PNC Bank has retained PNC Realty Investors, Inc. (“PRI”) to provide real estate investment advisory and management services for the BIT. PNC has retained the AFL-CIO Investment Trust Corporation (the “ITC”) to provide investor and labor relation services and AFL-CIO ITC Financial, LLC (“ITC Financial”), an indirect, wholly-owned subsidiary of the ITC, to provide marketing services in connection with the BIT. PNC Bank licenses the ability to use the “AFL- CIO” name in the name of the Trust and in connection with the activities of the Trust. Fees and Expenses: The Trustee pays a trustee fee (the “Trustee Fee”) from the assets of the Trust. The Trustee charges 1.0% on net assets up to or equal to $2 billion, .85% on net assets over $2 billion and less than or equal to $3 billion, and .80% on net assets above $3 billion. The Trustee also charges a .10% fee on capital that has not been committed to a real estate investment. The Trustee pays the fees for the services of PNC Realty Investors, Inc., AFL-CIO Investment Trust Corporation, and AFL-CIO ITC Financial, LLC out of the Trustee Fee (and not from the assets of the Trust). Other than General Administrative Expenses, the Trustee pays from Trust assets all expenses incurred in connection with the investment, administration and management of the Trust out of trust assets (and not out of the Trustee Fee). Risk Factors: A participant’s investments in the BIT are not bank deposits, nor are they backed or guaranteed by PNC or any of its affiliates, and are not issued by, insured by, guaranteed by, or obligations of the FDIC, the Federal Reserve Board, or any government agency. Investment in the BIT involves risk. Investment return and principal value of an investment in the BIT will fluctuate so that a participant’s investment, when redeemed, may be worth more or less than the original investment. A participant’s redemption of its investment or units in the Trust, or a portion thereof, may be delayed by Trustee for one year (or longer if permissible under applicable law) from the date of the request for such redemption. The BIT generally invests directly or indirectly in commercial real estate through equity investments. The BIT may also in the future invest in real estate through the provision of financing. Equity investments are subject to risks inherent in or customarily associated with the ownership of income-producing real estate, and real estate financing involves risks inherent in or customarily associated with the risks of financing secured directly or indirectly by income producing real estate. The BIT's assets are valued at fair market value, or in the absence of fair market value, in accordance with the processes set forth in the Investment Memorandum and the Trust Agreement. In the case of real estate investments for which there is no published market price, fair market value is determined by using third party appraisals or the sales price reflected in a contract of sale. Notwithstanding the foregoing, the value of such investments reflected in the net asset value of the fund may differ materially from the prices at which the Trustee would be able to sell, dispose, or liquidate such investments. Due to such inherent risks, investment returns can be expected to fluctuate and operating cash flow and the Trust's ability to make redemptions or distributions could be adversely affected. Moreover, due to the nature of real estate, investments may be illiquid. Such illiquidity may affect the Trust’s operating cash flow, which, in turn, may delay the ability to satisfy redemption requests. Additionally, the BIT or its investments may obtain financing. Such investments are subject to the inherent risks arising from the use of financing, and such risks may increase volatility of a Fund’s performance and may increase the Fund’s losses. The information contained in this material is not intended to be a comprehensive description of any investment product or capability. Rather the information is intended only to aid and be used by representatives of PNC Bank, PRI, ITC and/or ITC Financial in providing information and education regarding the BIT. Neither the information herein, nor any opinion expressed herein, is intended (or should be viewed) as individualized impartial investment recommendations or a suggested course action for an investor to follow, as it generally does not reflect all of the factors that an investor’s particular situation may warrant when considering an investment and does not consider any individual investor’s specific objectives, circumstances or needs, nor does it identify or define all of the risks that may be associated with potential investments. Accordingly, this material is not intended to be viewed or construed as a recommendation, offer or solicitation to purchase or sell any product, security, commodity, currency or other financial instrument, including an interest in the BIT, but is intended only to help evaluate the BIT as a possible investment. The information being provided does not constitute “investment advice” that would make PNC Bank or any affiliate of PNC Bank, PRI, ITC or ITC Financial a “fiduciary” within the meaning of Section 3(21)(A)(ii) of the Employee Retirement Income Security Act of 1974, as amended. Investors in, or potential investors of, the BIT should consider carefully the BIT’s investment objectives, risks and expenses before investing therein. Investors should consult their own advisors and investment professionals to evaluate the merits and risks of investment. Except as otherwise disclosed, the materials, representations and opinions presented herein are those of PNC Bank, and are of a general nature and do not constitute the provision by PNC, PRI, ITC or ITC Financial of investment, legal, tax, or accounting advice to any person. Opinions expressed herein are subject to change without notice. The information from third party sources was obtained from sources deemed reliable. Such information is not guaranteed as to its accuracy. Information contained in the material above regarding or providing past performance should not be considered representative, and is no guarantee, of future performance or results. Forward looking statements contained in the material above involve certain assumptions, including but not limited to the performance of the real estate market, which could cause actual outcomes and results to differ materially from the views expressed in the material above. The Fund is operated by PNC Bank who has filed a claim of exclusion from the definition of the term “commodity pool operator” under the Commodity Exchange Act (“CEA”), and therefore, PNC Bank is not subject to registration or regulation as a pool operator under the CEA. Not FDIC Insured. No Bank Guarantee. May Lose Value. For Institutional Use Only- Not for Use with Retail Investors. Withdrawal Restrictions Apply. © 2018 The PNC Financial Services Group, Inc. All rights reserved.